So you’re ready to launch your product. What started with a brilliant idea, took hours of work and energy, is not a product that is ready to sale or download to the masses. So what do you do now? How do you get your product in front of as many eyes as possible – and generates sales? To help you properly launch your product, I’ve put together a FREE Product Launch Cheatsheet to give you the exact steps to take before, during, and after your launch. Who is your target designed for? What is their age, gender, and other interests. Getting to know your target audience intimately allows you to use the correct language, channels, and graphics to target the audience who will be the most interested in your product. This also allows you to also keep your marketing consistent throughout. Your product should solve a problem for your target market in an elegant way. In your marketing and launch, stay focused on the “who” and “why” of your product in your language and focus to reach the most people. Does your target market live on Facebook and barely know what Instagram is? Or, are they a younger demographic who has basically abandoned Facebook in favor of spending their time on Instagram? Knowing where to best reach your target audience will help you use your marketing efforts wisely. Pre-sell or pre-launch your product to see if it sells before it’s even built. If you build a landing page for the product, run ads to get eyes on it, and people click “Buy” then you know your product will sell. If not, re-tool the offer to solve a problem or reduce pain points. Getting as much feedback as possible before the launch is essential for a successful launch. You want people in your target audience to experience your product to see how it works, then give you feedback. Once you’ve secured their interest, you can pitch them the full-price offer. 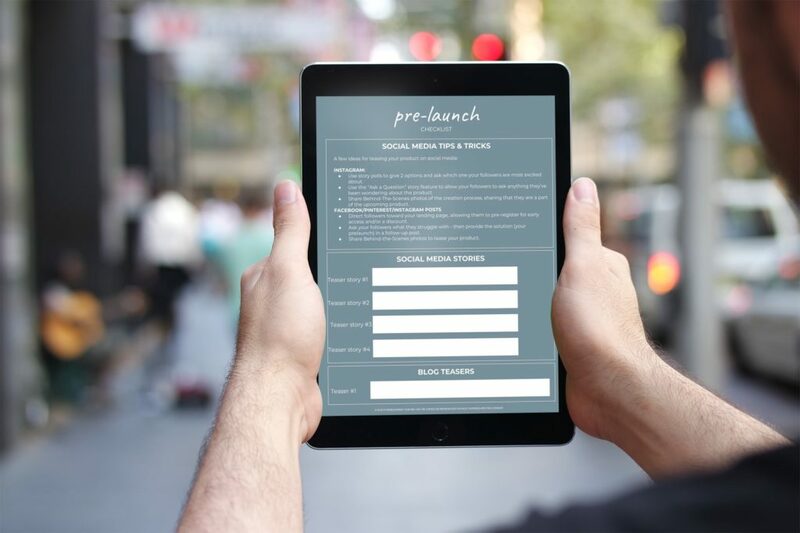 Create a plan for Facebook, Pinterest, Instagram, Twitter, your Email List and your website for pre-launch, launch, and post-launch. Have the plan set in place before any of the launch goes lives – as well as strategies for determining the launch’s success, so you can focus on customer service and success during the actual launch. Bonuses, discounts, or extra add-ons are all great additions to add to your launch, if your audience purchases during the launch period. By adding a time-sensetive offer, your increase their incentive to buy. Launch a product can feel unbelievably overwhelming. 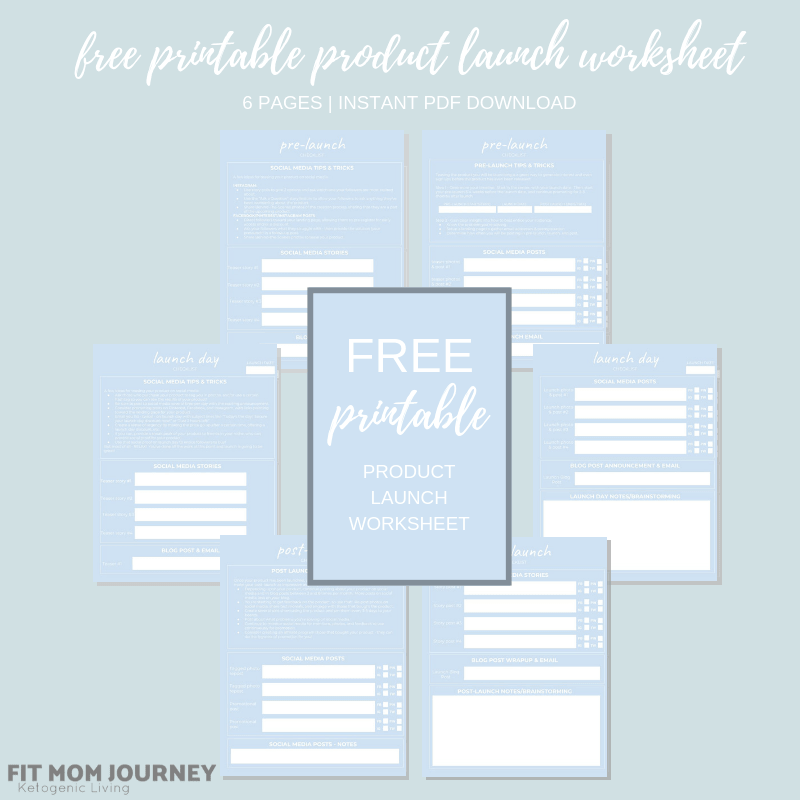 That’s why I created the Product Launch Cheatsheet – so you don’t have to spend months or years testing and experimenting what will and won’t work for your launch. I can’t wait for you to launch your product!